Aki Takase's discography on Leo Records continues to expand. 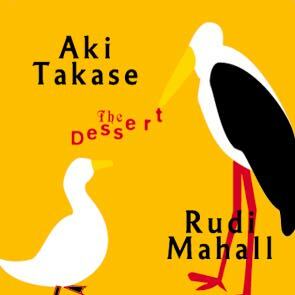 Her new adventure, "The Dessert", is a duo with Rudi Mahall, who plays bassclarinet and contrabassclarinet. I won't be surprised if the recording is proclaimed to be the most elegant music composed spontaneously. The duo produced 17 relatively short pieces (from 2 to 7 minute-long) sparkling with humour, which is reflected even in the titles of the pieces. Where on earth has Aki Takase heard these Russian words: "voskresenie" (Sunday), "raskaz" (story), "pirodjok" (little pie), etc.? Not in Japan?